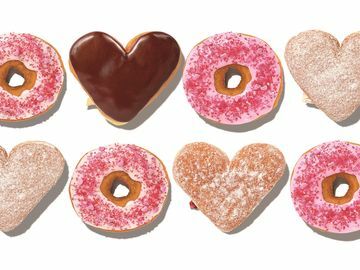 Dunkin’ introduces new Bling Sprinkles Donuts and its first donut featuring a perfect pairing of two favorite fillings for Valentine’s Day, along with the return of heart-shaped donuts. 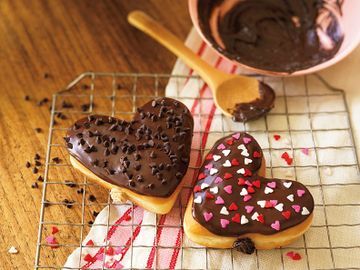 Love is in the air at Dunkin’ Donuts, and the brand is offering several fun and heartfelt ways to help our guests celebrate the season. Dunkin’ Donuts is launching today an online contest, “Dunkin’ Hearts Love,” to give engaged couples the chance to win a $10,000 wedding present.